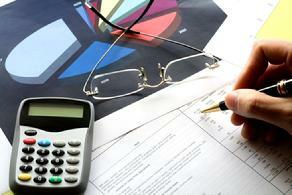 Fox and Fox Certified Public Accountants firm is broad-based but right-sized. We offer a wide range of accounting, tax and advisory services to our individual and business clients. Because our firm is relatively small, our clients benefit by getting personalized, quality service that is beyond comparison. Below we have listed the services that we offer to our clients along with a brief description. An accurate accounting system is essential for business success and many business owners choose QuickBooks accounting software. We can help you set up and maintain your QuickBooks accounting system as well as provide ongoing training. Setup: First we help you select the the appropriate QuickBooks version for our small business. Then we set up your accounting system and guide you to use QuickBooks most effectively. Training: Once QuickBooks is setup and working properly, we can train you and your employees to effectively operate QuickBooks specifically for your business. Periodic review: We help you maintain your accounting system on a monthly, quarterly, or annual basis. We can assist with bank reconciliation, recording of transactions, financial statement preparation, and payroll tax reporting. Meaningful, well-organized financial records ensure that your business operations will run more efficiently on a daily basis and are the foundation of a successful business. Whether you do your own bookkeeping in-house via Quickbooks or have us handle your data entry, our qualified staff can assist you with the day-to-day tasks associated with bookkeeping. We view our role in the financial reporting process as an opportunity to provide constructive solutions for maximizing your company's profitability and efficiency. Compilations differ from reviews and audits as they are based upon client information provided and used primarily for internal use only as no assurance is expressed. Reviews differ from audits as they are lesser in scope and rely on interviews of management personnel and analytical procedures.